Light up the dark streets of Gotham with this Batman Logo Gray Bullet Black Rubber Strap Watch with Lights. 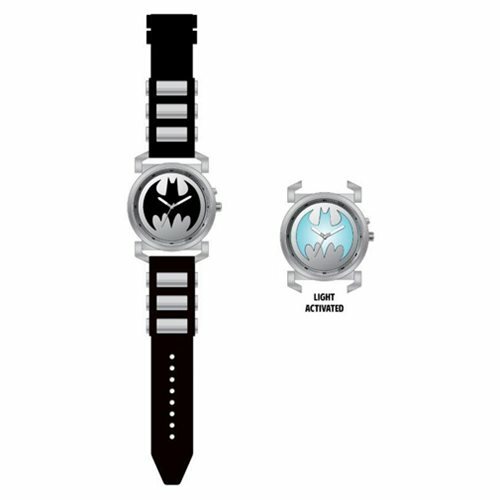 The watch features the Batman logo that lights up at a push of a button, and a gray bullet black band strap. The strap measures approximately 8 1/2-inches long and the face is about 1 3/4-inches in diameter. Watch comes packaged in a displayable box. Ages 13 and up.